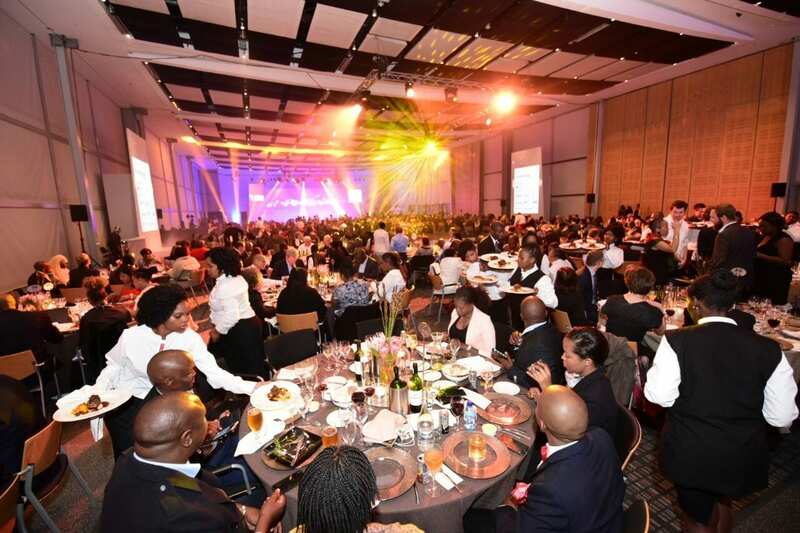 The winners of the African Utility Week Industry Awards were announced this week in Cape Town. Kandeh Yumkella, UN Under-Secretary-General and Former Special Representative of the Secretary-General and CEO, Sustainable Energy for All (SE4All), won the Lifetime Achievement Award. 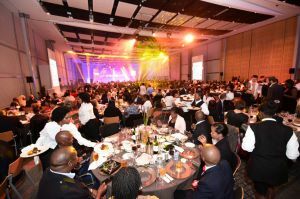 He was also an inspired keynote speaker on the opening day of African Utility Week on Tuesday. On receiving his award last night Yumkella said: “I know the energy revolution is powering up and ready to take off. We saw again this week that we have the technology and the innovation. Sometimes we are too suspicious of each other, we should embrace energy trade with each other”. As Special Representative of the Secretary-General for Sustainable Energy for All and Chief Executive Officer of the initiative, he mobilised global action towards a sustainable energy future and was responsible for the planning and implementation of the initiative as well as engaging with the leadership of relevant stakeholders in government, businesses, academia and civil society at the highest level to advocate for and promote sustainable energy for all. With over 25 years of international experience, Dr Yumkella previously served as Director-General of United Nations Industrial Development Organization (UNIDO) for two four-year terms (2005-2013). Dr Yumkella is co-Founder of the African Energy Leaders Group and is a Commissioner at the Energy Transitions Commission. A recipient of numerous international awards, he is a former Minister for Trade, Industry and State Enterprises of Sierra Leone. In a flagship Solar Water Heating Programme approximately 70 000 low income households around Johannesburg were fitted with solar water geysers over a period of three years. This project generated 20 000 job opportunities and was one of the biggest projects of its kind in South Africa. The installation of smart meters has gone a long way in improving billing accuracy and enhancing City’s revenue collection capabilities. Over 92 000 smart meters have been rolled out across Johannesburg, and the target is to deploy 250 000 meters by mid-2016. Mugo has worked in the energy sector for over 30 years. In January 2014, he was appointed as the Managing Director and Chief Executive Officer of KenGen where he is currently leading a team of Executive Directors in the mandate of rapidly increasing electricity generation capacity that Kenya needs in order to achieve its 2030 Vision. In this position, he is executing a strategy of least cost power development options in order to provide reliable, safe and competitively priced energy to the nation. In 2015, the NWSC cemented its position as a key player in the water sector both on the local and international scene. They undertook transformational changes in its operational and geographical mandate, providing new and home grown solutions to water service provision challenges and highlighting its contribution towards the National Vision of transforming Uganda from a peasant to a self-sustaining economy. Winner: Engr. Philip Gichuki, the Managing Director of Nairobi City Water and Sewerage Company Ltd. The utility is the sole provider of water and sewerage services to the City of Nairobi with a population of about 3.8 million. He has over the years promoted the objective of the water sector in Kenya in improving access to water and sewerage services for all under a conducive environment for the consumers, communities, partners and staff working in the sector. The project is implementing an innovative solar-powered solution that is providing African villages with access to a clean and affordable source of electricity. Since launching, the group has operations in 15 nations, including Guinea Conakry, Senegal, Mali, Niger, Benin and Sierra Leone and is covering over 480 communities. The DBSA has developed an innovative financing instrument to support local parties and communities to acquire equity stakes in companies. The success of the business model is that the local partners then are included in the overall financing package leading to an overall sustainable financing package. The model can be replicated and the DBSA has already replicated it in 17 projects with a capacity of 2100 MW and continues to be duplicated in other transactions. The Noble Power Station is the only high volume, low-maintenance, portable solar-powered water treatment plant of its kind in the world. Each water station provides 500 people with 20 litres of safe drinking water every day for life. This is Noble Water Solutions’ tenth award for its work in the water sector. Njoroge started the Multi-link Group Limited in April 2010 as a small company that focused on addressing the challenges of poor households by supplying clean cooking stoves and solar lanterns to help address the issue of Indoor air pollution and also help in environmental conservation and on the other hand develop grid connected clean energy projects. As an energy liaison for Greening Kenya Initiative Trust he has helped create energy forums in county levels, and assisted in training 600 green energy champions. Currently Multi-link is completing the development of the 3M 40MW grid connected solar project in Mai Mahiu, Nakuru County, Kenya. When it connects to the grid in 2017, the project will be the largest grid connected solar project in East and Central Africa. Owned and operated by Airports Company South Africa it has constructed and recently officially opened a Solar Photovoltaic Plant to meet about 41% of its energy demand. The Solar Powered Plant was built on 200 square meters of land and has 3,000 photovoltaic modules, 30 inverters and a substation and the plant’s peak production is 750kW. 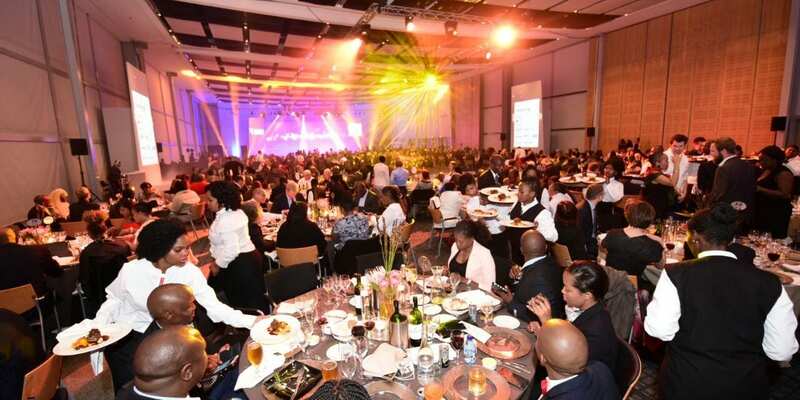 Fifteen SMEs, start-ups and young innovators were selected for the once-in-a-lifetime opportunity to be part of the African Utility Week’s Innovation Hub and take their businesses to the next level. The winner: PowerOptimal, a power demand management technology that is commercially proven in diverse installations such as hotels, office buildings, shopping malls and golf courses.